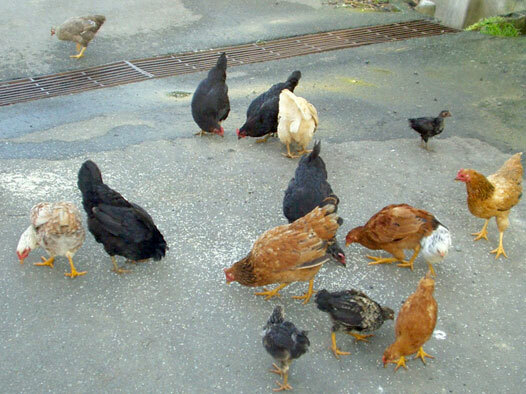 Everywhere you go in Tobago, you will see chickens scratching. These semi wild birds are known as YARDIES! Wash chicken with lime juice to remove ‘freshness’. Put seasonings in a blender with water to cover or chop finely. Add to the rinsed meat with a little salt. Put the meat in a casserole dish with the seasonings, cover with foil and bake for half an hour at 400 F for ¾ hour. Remove the foil and continue cooking until the meat is tender. For variety a sauce can be added to the dish when the foil is removed. To make the sauce, you will need Tomato ketchup, mustard and vinegar. Add salt if needed. Mix all the ingredients and pour over chicken and continue baking. Serve garnished with sliced cucumber and tomato.